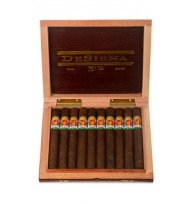 DeSiena 312There are 12 products. 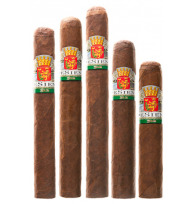 In 2011 after 20 years in the cigar business it was time for a new challenge. 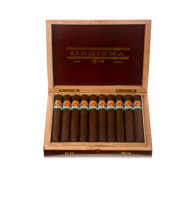 The goal was to create the finest of boutique cigar brands. A trip was taken to the Tobacos de Oriente factory in Danli Honduras. 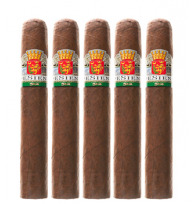 Numerous cigars were smoked. A batch was discovered vividly marked “312”. After enjoying several it all made sense, a number that has much significance. My son was born in March and my daughter in December. 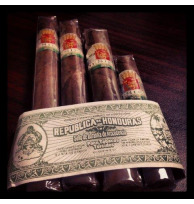 Partnering with the Placensia cigar factory in Honduras the cigar was re blended several times over a two year period. 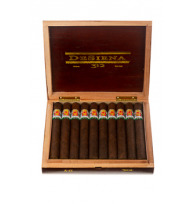 The DeSiena 312 was proudly launched in April of 2013. The goal is to produce a consistent burning smoke, time and time again. 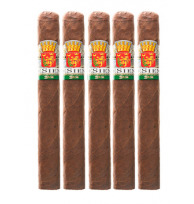 The blend was conceived to appeal to all premium cigar smokers, regardless of taste preferences. Medium in body, color, and price, but full on excellence! 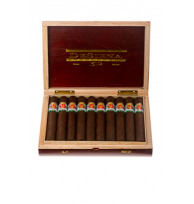 There is not an over emphasis on packaging, rather fully focusing on the quality of each cigar. 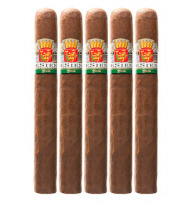 WHAT IS THE SIGNIFICANCE OF THE CIGAR BAND? 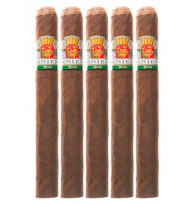 The cigar band reflects my family’s heritage from the small town of Siena Italy. Our family visited in 2004 with the remembrance of the rambling countryside used as the band’s backdrop. The focal point being our families Crest, with the crown signifying excellence.